ABBEYFEALE ON LINE! : LIMERICK LADIES LAND ALL IRELAND TITLE! LIMERICK LADIES LAND ALL IRELAND TITLE! 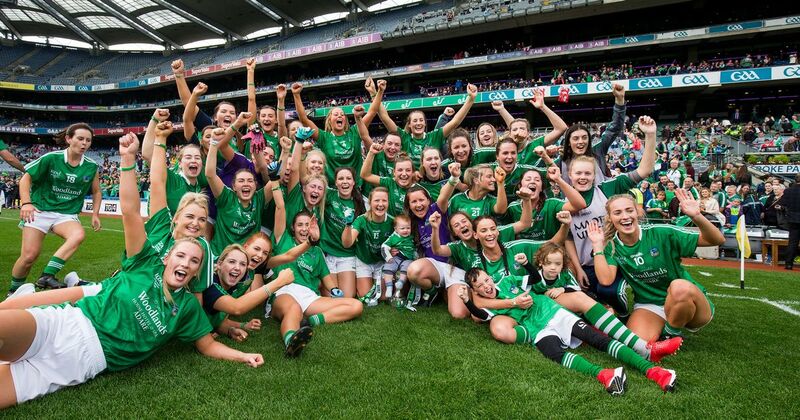 Congratulations to Limerick on winning the junior All Ireland Ladies Football Championship on Sunday. Not many people get to play in Croke Park and climb the steps to the Hogan Stand afterwards to collect an All Ireland winners’ medal. It is a memory that these girls will surely treasure for the rest of their lives. Limerick has a bit of history in Gaelic Football. We won the very first All Ireland title, way back in 1888. They can never take that away from us. It may be a long time ago but we have been dining out on it ever since! And when the Kerry lads pass through town after winning yet another All Ireland title, tooting their car horns and waving their flags, we remain suitably unimpressed. “Been there. Done that.” we remind them. *There was double gold for Ireland at the end of an historic weekend at the world rowing championships in Bulgaria where Sanita Puspure and the O’Donovan brothers finally reached the top of the podium and booked their places in the Tokyo Olympics. *Meanwhile, Irish Show Jumping horses and riders had a stunning day at the World Championships for Young Horses at Lanaken in Belgium, by winning Gold, Silver and Bronze in the 5-year-old final.